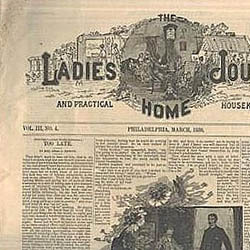 Your recent article in the "Ladies Home Journal" was very interesting to me as I should like very much to do settlement work. 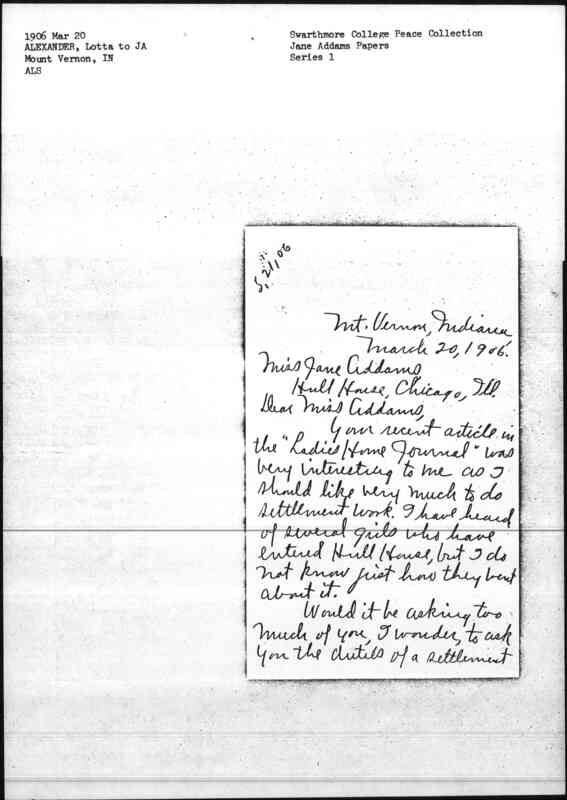 I have heard of several girls who have entered Hull House, but I do not know just how they went about it. 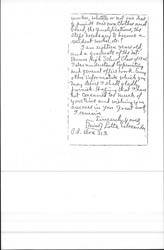 Would it be asking too much of you, I wonder, to ask you the duties of a settlement [page 2] worker, whether or not one has to provide one's own clothes and board, the qualifications, the steps necessary to become a resident worker, etc.? 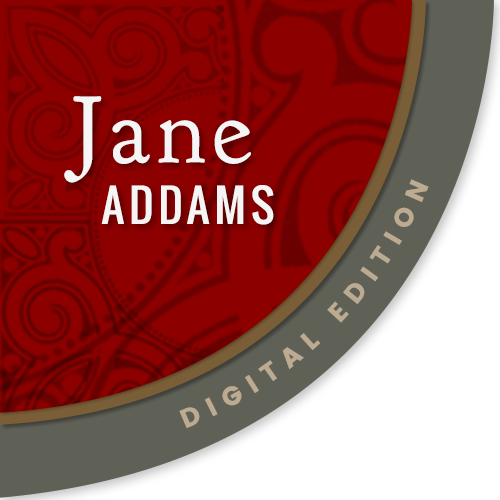 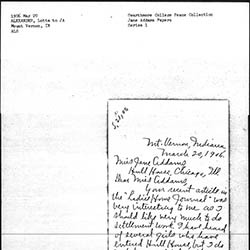 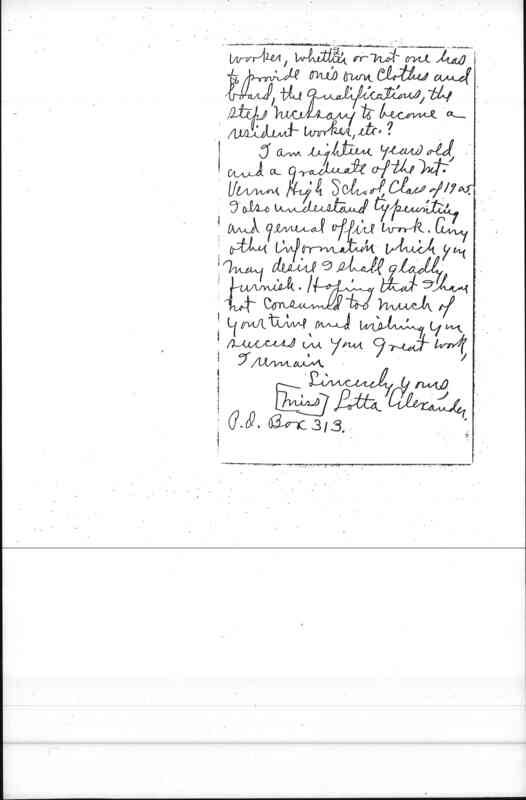 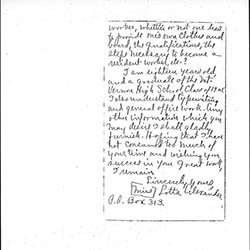 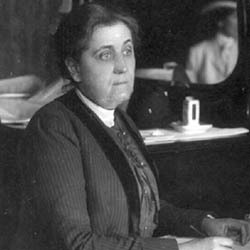 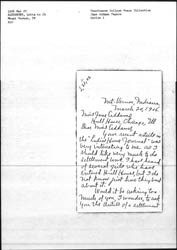 Alexander, Lotta, “Lotta Alexander to Jane Addams, March 20, 1906,” Jane Addams Digital Edition, accessed April 22, 2019, https://digital.janeaddams.ramapo.edu/items/show/1449.